Just as every fight starts on the feet, every play in football starts on the line of scrimmage. 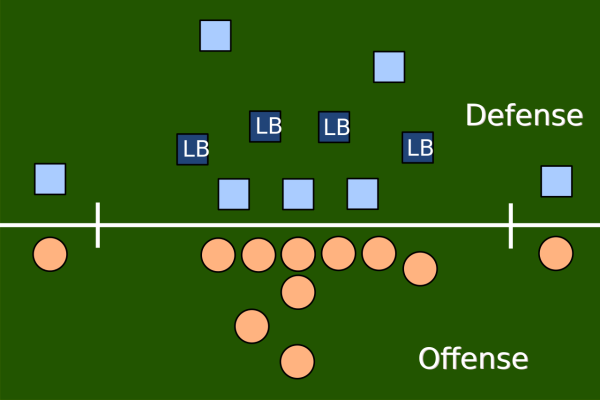 The outcome of every play is determined by the “big uglies” up front. Nothing was more evident about the above theory than the College Football Championship game against Ohio State. An article I wrote in the days leading up to the game titled The National Championship Will be Won in the Trenches, proved to be ever so true as the play of the big men for the Buckeyes determined the outcome of the game. 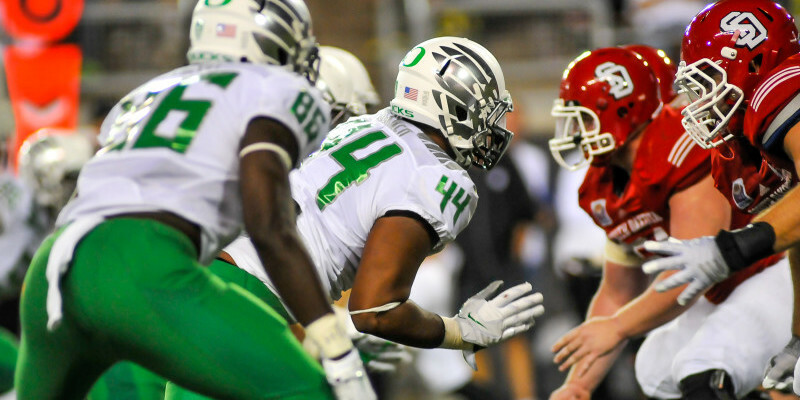 The Oregon Ducks implement a 3-4 defense, and have been doing so for a long time. With guys like DeForest Buckner and Arik Armstead rushing off the sides, the intention was to make opposing offenses scared of their size. Last year, however, the defensive line unit was very inconsistent. Big play after big play led to teams marching down the field against the Ducks. Thankfully, the secondary was known for creating turnovers, seemingly out of nowhere. This season, the goal is to eliminate the big plays. This can all be made possible with good gap control. The guy to look at this year is returning starter Alex Balducci. In a 3-4 scheme, the nose tackle is incredibly important. His main responsibility is to free up space so linebackers don’t have to go up against multiple linemen when filling open gaps. Last year, he played 621 snaps over the course of the season, so experience is not lacking whatsoever. Along with the rest of the defensive line unit, Balducci will look to lock up some offensive linemen and open holes for the linebackers to wreak havoc. Just as first impressions are key, gaining the advantage first almost always leads to positive results. When you have 300-pound men pushing and scrapping, the one who takes control first is likely to finish on top. 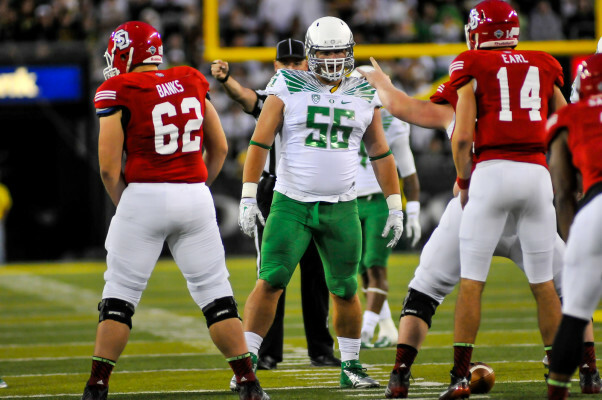 The Oregon defense has been known recently to lack brute strength up front, and in order to fix some of the issues from last season, this will have to change. 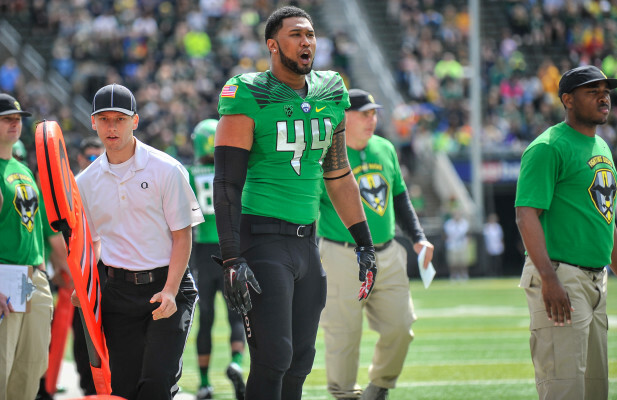 Canton Kaumatule is one of the most exciting defensive prospects Oregon has seen in awhile. 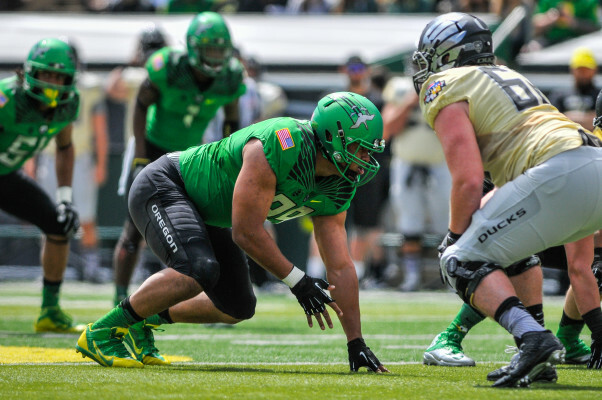 With Buckner coming back, the Ducks get a massive 290-pound beast that is looking to solidify himself as a first-round draft pick in 2016. Incoming 5-star recruit Canton Kaumatule has showed as much promise on the field as the scouting reports said he would. In the Spring Game, he combined for 5 tackles, and 2.5 sacks. This type of play up front will help to suppress run plays, and pressure the QB on pass plays. Against the Buckeyes, the front seven for the Ducks was completely exploited. With a lack of push from the defensive line, linebackers were left forced to run around in free space. If defensive coordinator Don Pellum can create a strategy for his guys up front to win the battle on the line of scrimmage each and every play, the linebackers will be able to drop into coverage or help with the run when they need to. Buckner is the leader of this unit, and I fully expect him to assume that role with success this year. The days of giving up 430 yards per game are in the past — this new unit will be stout, unlike anything we have seen in recent years. Monsters, Inc. With Deforest Buckner. It sounds so cliche’, but it all makes sense when you look at it. The motto “Fast. Hard. Finish,” was coined by Chip Kelly, in an attempt to motivate his players to be the best they can be at all times. If this defensive line unit consistently maintains its gap control, and wins the battle at the beginning of every play, then things will run smoothly. Just look at how depleted the Michigan State offensive line unit was towards the end of the game in the video above. Oregon had the ability to make them pay because of it. Everyone knows that the Ducks like to recruit smaller, faster guys. On the defensive line, however, this is not the case. Buckner stands 6’7″ and weighs 290 pounds; Balducci stands 6’4″ and weighs 310 pounds; and, Kaumatule stands 6’7″ and weighs 290 pounds. The size is there and, based on last year, so is the athleticism. Maintaining consistency is key for this unit because, without it, they won’t be able to exploit opposing offenses with their current level of athleticism. A solid linebacker group this year can be complemented by good work up front. As it always has been, and always will be, the success of any defense starts with the guys up front. If athleticism plays any factor in determining that success, you better bet that Mark Helfrich and staff will have their guys ready. Last season stats: Pass Yards Per Game (264.3), Rush Yards Per Game (165.4), Points Per Game (23.6). The offense is poised to be good this year, but there is some uncertainty without having Marcus Mariota under center. If the defense can hold opponents to under 20 points per game this season, then the Ducks will win the Pac-12 and return to the College Football Playoff for the second year in a row. This can all be made possible with good solid play from the defensive line. Gap control, push, and athleticism — the three key success factors for the defensive line in 2015. Be sure to tune back to FishDuck.com this Tuesday for our examination of the offensive line.